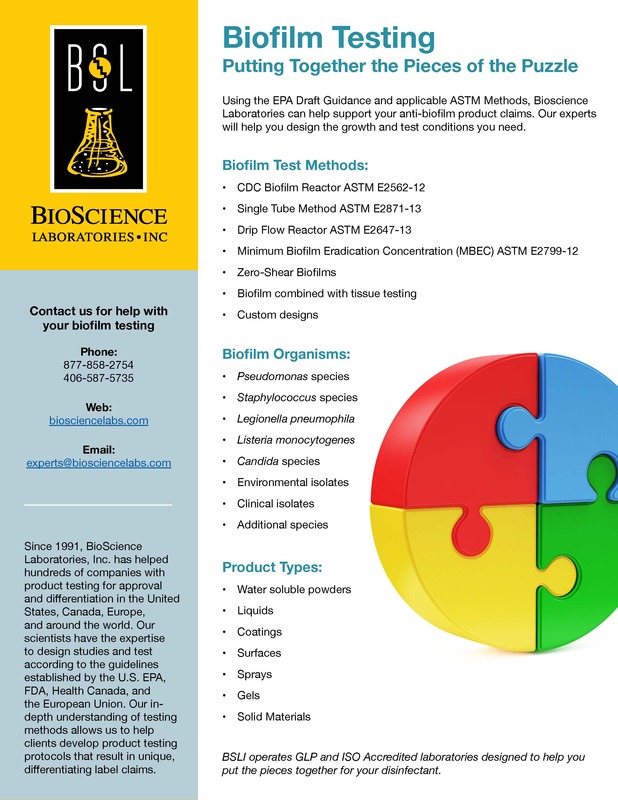 BioScience Labs provides services for evaluation of product efficacy in the prevention and/or removal of biofilms using in-vitro techniques. This methodology evaluates colony biofilms grown in a zero-shear environment and allows quantification of cells challenged with solid test materials. This static biofilm model is useful for both small-scale and large-scale studies.